For over 50 years, Loctite has provided customers with advanced adhesive and sealing solutions. 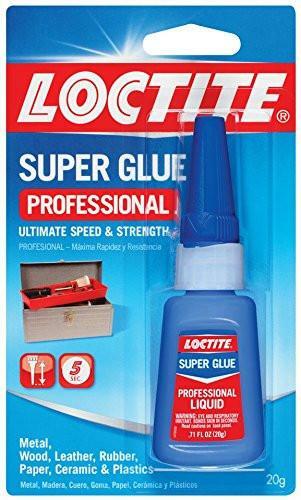 Loctite liquid professional super glue has proven superior performance over ordinary super glues. It Works faster and holds stronger on more surfaces than ordinary instant adhesives thanks to a patented additive. Loctite liquid professional super glue's super strength formula is ideal for heavy-duty projects and repairs. It instantly bonds a wide variety of materials; including metal, glass, ceramic, wood and most plastics. It dries clear and sets without clamping. This glue is resistant to moisture, most chemicals and freezing temperatures. Our uncompromising level of quality and innovation is achieved through a strong commitment to research and development. This commitment to innovation, quality and reliability has truly earned Loctite the reputation of delivering "trusted performance. Proven results". Hands down the best glue I have used in 30 years.